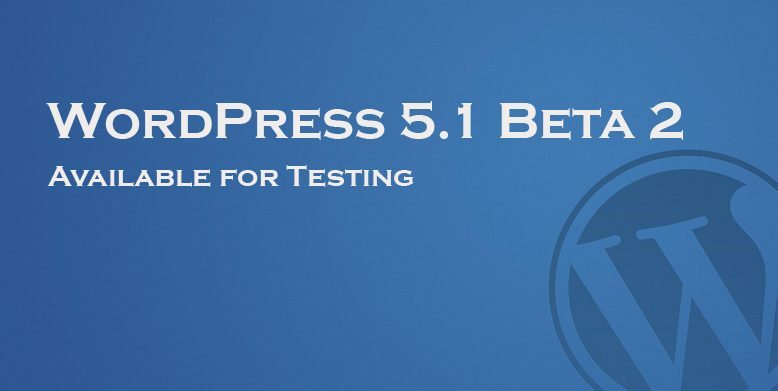 WordPress 5.1 Beta 2 has been released for the general public to test. The Beta 2 version was released only a few hours ago. Since the software is still in development mode, it’s best that you don’t run it on a production site. Instead, simply set up a test site just to try out the new version. To test WordPress 5.1 Beta 2, try the WordPress Beta Tester plugin (you’ll want “bleeding edge nightlies”). Or you can download the beta here (zip). There have been more than 110 tickets closed since the first beta release. And most of them include improvements regarding documentation and testing suite. Have a quick look at the WordPress 5.1 Beta 2 highlights. Not only the documentation and testing suite improvements, but the Beta 2 version also has a handful of changes for the developers to try out. Check out the developer notes on the WordPress Core. The big release, 5.1 is targeted to be released on February 21, according to the schedule updates.